Brittany Razo, 17, who was known to most people as Alex because he was transitioning to become a boy, is shown in a photo. COMPTON, Calif. (KABC) -- A teenager died Wednesday morning, just two days after being hospitalized from suffering smoke inhalation in a deadly Compton house fire. 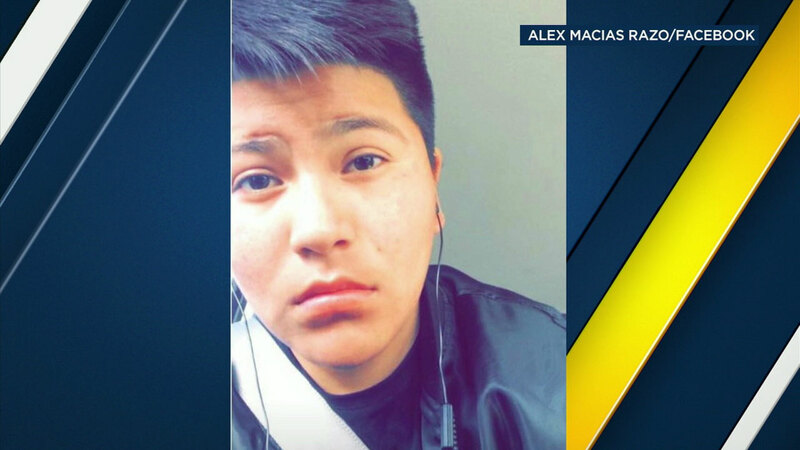 The teen was identified by a family member as 17-year-old Brittany Razo, who was in transition to become a boy and known to everyone as Alex. The family member added that Alex was set to graduate from Dominguez High School and played drums in the school marching band. A woman and her teenage grandchild were critically injured and two dogs were killed after an explosive fire at a Compton home. Los Angeles County Fire Department firefighters responded to the 16000 block of S. Essey Avenue at about 12:30 a.m. Monday, where they found a structure fully involved in flames. There were small explosions coming from the burning home, but crews were able to knock down the fire in 15 minutes, officials said. During a primary search, Alex and his grandmother were found suffering from smoke inhalation, given CPR and rushed to a nearby hospital. The grandmother remains in critical condition, authorities said. Once the fire was out, crews discovered two dogs that were apparently killed in the inferno. Now, family members are waiting for answers as the Los Angeles County sheriff's arson team is investigating the fire. Investigators have not said the fire was suspicious in nature. If you have any relevant information about this fire, you're urged to contact the Los Angeles County Sheriff's Department's Compton Station at (310) 605-6500. You can submit anonymous tips by calling Crime Stoppers at (800) 222-TIPS (8477).